At the location Brižine in the village of Đelilovc, a few kilometres away from Travnik, there was an accidental discovery during the construction works on private land. Shortly after the discovery, the owner informed the Museum of Travnik, whose team came out on the field and found that, on the basis of surface finds and remains of the walls, it indicated that the site was from ancient period. In June of this year excavations begin financed by the Museum of Travnik, in co-operation with volunteers from Travnik Center for Youth Education, under the expert leadership of archaeologist Ajla Sejfuli. The initial search probe lasted a month and in that short period was clear that this was a very important archaeological site. Given the short time frame for work on the dig, was not possible to investigate the most part, since the site covers a large area, hence the focus of the study was at the visible structures, particularly on the part of the site where a well-preserved wall stood of about 7 meters long. That part of the site hid by far the richest finding, notably the bronze plaque showing the cult of Danube horsemen, which is the sixth find of this kind in Bosnia and Herzegovina. In addition, a considerable number of ceramic items (particularly those painted with geometric designs), roof tiles, fragments of glass vessels, were found and among all of them stand out metal objects of everyday use and bronze jewellery (ring and bracelet). A large number of iron slag indicates that at this site had and possible smelting activity. Particularly interesting is the finding of ceramic lamps of the type „šišarike,“ which coincides with the findings at the ancient site of Japra. 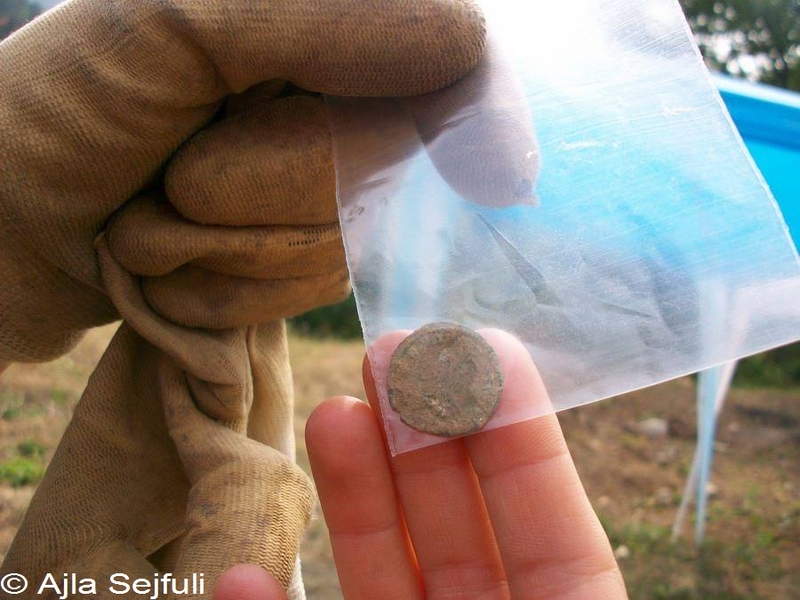 The second phase of the research is organized in co-operation with the Department of Archaeology at Sarajevo University, within the TEMPUS project, including a field school for students of archeology. Excavations of the second phase started in August and lasted until the end of the month. During this phase of the research, archaeologists did geophysics surveys of the site, and the results provided a more complete picture of the dimensions of the site and its objects. Now it became clear that the site is much larger than first was thought.. 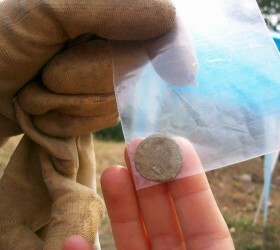 Preliminary results show that the site was built and used during the period from 2nd to 4th century A.D. To determine the precise period in which the settlement was built and flourished, there are two Roman coins of the emperors Aurelian and Constans, which are particularly interesting as both bear the mark of the mint at Siscia, where they were very likely made. Bearing in mind the wealth of the Travnik region in ancient times, as well as the importance of the location, an area through which passed one of the main communication roads from the direction of the Salone-Argentaria, the discovery of the site is not surprising, for which excavations will indeed last several more years. Ajla Sejfuli, archaeologist at the Regional museum of Travnik, Bosnia and Herzegovina. Finished her educations at the University of Sarajevo. She took part in many archaeological excavations. Her interests are prehistoric archaeology and anthropology.